The history of the dead of the fifth planet of the solar system. Free Ebook. Download for free the eBook with the side story of my series: The Labours of Iktis. 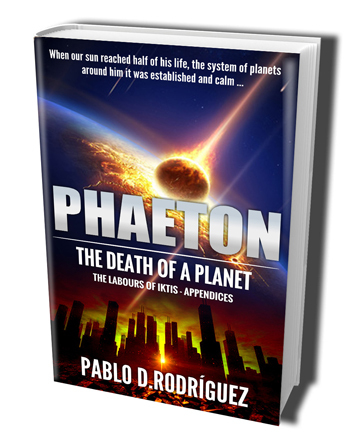 Phaeton, the death of the fifth planet of our solar system; where you will find the hidden history about a planetary disaster that brought chaos to the whole solar system. And how an advanced civilisation, inhabitant of Phaeton, had left their mother planet behind to follow a dangerous path among the stars.